FireServiceRota gives assurances about resource availability. 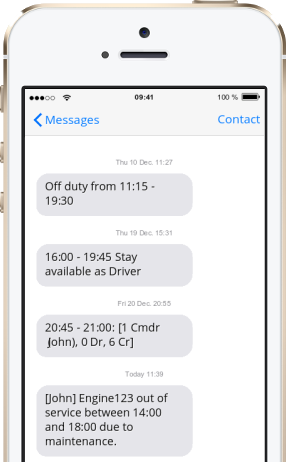 The system automatically warns in advance when understaffing problems occur so that extra personnel can be put on-call. 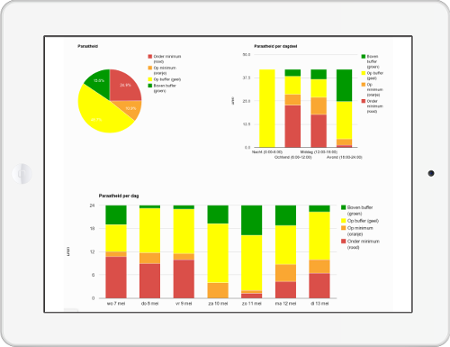 FireServiceRota also has comprehensive reporting tools that provide insight in historical and current resource availability, improving transparency and accountability. In addition, the reports give actionable information about structural understaffing problems. With its flexible roster engine, FireServiceRota supports the existing scheduling methods of any fire station. The on-call crew is determined by a combination of any of the following: their personal rosters, the team rosters and standby duty rosters. Users can easily manage their own rosters wherever they are. This allows them to be on-call when needed, and off-duty when possible. The result: a motivated and prepared fire brigade. Click on the text messages for more information. 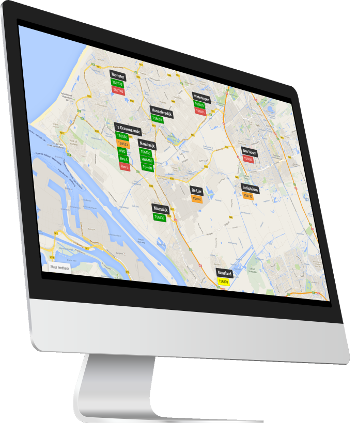 FireServiceRota can show the real-time resource availability of one or more fire stations on a single display. These displays can be installed in fire stations, where they also show the expected arrival time of the confirmed crew to the fire station, or in an Emergency Control Centre for a tactical view of a county or district.